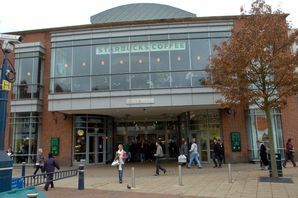 Thousands of shoppers were forced to abandon Touchwood Shopping Centre at just before 1pm last Saturday, while bomb disposal experts were called in to assess the danger. Solihull police officers to take on bike challenge. A GROUP of borough police officers will be pounding the streets to a different beat when they take on a 400mile-plus bike ride from Solihull to Paris. A ‘DESPICABLE’ gang of thieves are wanted by police for preying on elderly victims in Solihull. A LIFE-long Liverpool fan, from Shirley, spat in the face of a police officer because ‘he was upset about the Hillsborough Disaster report,’ a court heard. SOLIHULL police are urging the local community to get in touch with concerns about door-to-door salesmen after reports of aggressive selling. To report any suspicious activity, call Solihull Police Station on 101. Olton residents to help police on their local streets. OFFICERS are inviting Olton residents to help them police their local streets. Man trashes Solihull Police Station cell after arrest. MAGISTRATES have fined a man for trashing a cell in a drunken rage after he was arrested for assault. A SHIRLEY man has been summoned to appear at Solihull Magistrates Court after he allegedly ripped a veil from a Muslim woman’s face in Touchwood. Man caught on CCTV stealing medicine from Solihull store. OFFICERS have released a CCTV image of an individual suspected of stealing medicine from a Solihull shop. POLICE have seized up to £70,000 worth of cannabis after smashing two drugs factories in a single day. A BURGLAR who police had branded the ‘tip-toe thief’ has finally been brought to justice in Solihull. A RETIRED policewoman is in hospital after she was found with a gunshot wound to the head at her Shirley home. A FORMER policewoman is in a critical condition after she was found with a gunshot wound to the head at her Shirley home. I am writing in connection to Councillor Simon Slater’s change of political allegiance from Lib Dem to Labour. ANGRY Elmdon residents were given an unwanted early Monday morning call this week after a wayward articulated lorry wreaked havoc in their cul de sac. THE Chief Constable for the West Midlands, Chris Sims, has officially opened the new-look Solihull Police Station. A MIDDLE-aged man suffered a fractured jaw during an assault at a Shirley pub on Monday of this week. AN OLTON family are still reeling after a laptop full of precious family photos was stolen from their home.